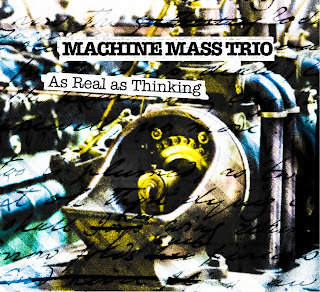 Jazz Station - Arnaldo DeSouteiro's Blog (Jazz, Bossa & Beyond): CD of the Week - "Machine Mass Trio: As Real As Thinking"
CD of the Week - "Machine Mass Trio: As Real As Thinking"
Recorded October 18, 2010 by Sacha Symon at Dans Ma Cabane Studios, Liège, Belgium. Mixed and mastered by David Minjauw at Studio Simonne, Brussels, in the Summer of 2011. All tracks recorded live in the studio with no overdubs. All music performed by MMT except “Falling Up”, which is a joint improvisation by Bianco and Delville. Produced by Mass Machine Trio. Executive Producer: Leonardo Pavkovic. This release was made possible by the support of the Communauté Française de Belgique – Direction Générale de la Culture – Service de la Musique. Originally born as a side-project of douBt, this new trio led by Tony Bianco (on drums and loops) and Michel Delville (on guitar, bouzouki and live effects) also includes emerging Belgian talent Jordi Grognard on saxophones, bass clarinet and flute. 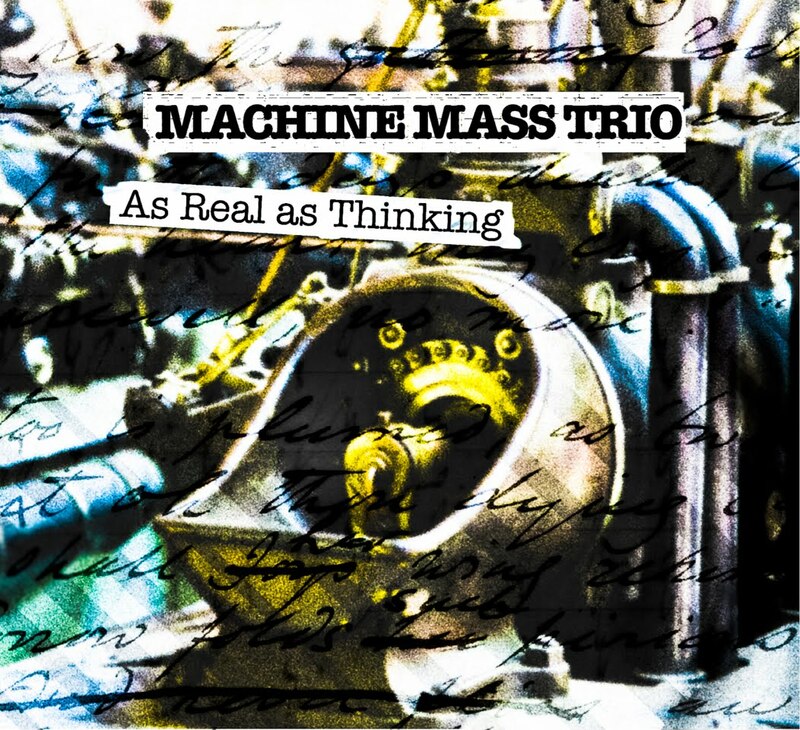 “As Real as Thinking” is an amazing mix of fiery licks, catchy themes, telepathic rhythms, shamanic soundscapes and processed loops -- testifying to the band’s compositional flair and extraordinary musicianship. The music is meaningfully condensed -- consistently powerful without being overwhelming -- and will appeal to fans of progressive jazz, world music and rock audiences with an ear for the unusual. The CD sounds alternately groovy and meditative, trancy and punkish, modern and ethnic, cloudy and clear. It also features an explosive 18-minute duet between Bianco and Delville (guitarist also with MoonJune Recording artists' The Wrong Object) -- showcasing the musicians’ seemingly boundless energy, and extraordinary capacity to listen to each other and improvise over insane chord, rhythm and time changes while handling live electronics. A session of bold, risk-taking improvisation. "This record was recorded as my beloved wife, Mary, was fighting for her life. She has thus passed away and my playing is a tribute to her beautiful soul," Tony Bianco reveals.